"Dr. Kandov is extremely patient and caring. His concern is genuine and makes each visit comforting." "Dr. Kandov really cares about his patients and makes sure we fully understand what's going on with our health." "Dr. Kandov is one of the most caring and knowledgeable doctors I have ever met. He explains everything and tells you why. He truly care about my well being. Addresses all my concerns and questions. All doctors should be like him. Outstanding. " "Dr. Kandov is a true professional." 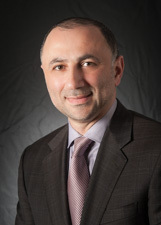 "Dr. Kandov is a wonderful dr. & person in general. I recommend him to everyone!!" "I owe Dr. Kandov my life all good comments for him." "Dr. Kandov is a old time dr. He takes the time to talk to you as a person not a number and has a great bedside matter. #1. Dr. Ruben Kandov. #7. Very good he spoke to me like a person." "Dr. Kandov LISTENS to everything you have to say." "I have a very good experience with my doctor." "If more doctors were like Dr. Kandov people wouldn't mind going to the doctor: A truly concerned, caring man." "Everything was done very good." "I thank God for Dr. Kandov Ruben MD." "The provider is doing a very good job." "Dr. Kandov is one of a kind. He listens, cares, follow ups & always answers my concerns." "Dr. Kandov is a caring and expert doctor." "Dr. Kandav is a great doctor. He is knowledgeable, professional & compassionate."